I can't believe it's Christmas in less than three weeks, so I thought it was about time I shared what is in this year's Christmas Eve basket for the girls. This year will be the fourth year I have done put together a Christmas Eve basket and I think it's such a lovely family tradition. You can see previous baskets here, here and here, if you want some more inspiration. And as always, everything is linked at the end of the post if you want to know where certain things are from. I tend to include similar things in the basket each year, now it wouldn't be Christmas without a few chocolatey treats and some new socks! I've also added a new mug for Sophie, as I'm not sure where last year's disappeared to and some marshmallows to add to her hot chocolate - perfect for when we're sat watching Christmas films! I ordered this book for Sophie, as I know she will love it! We already have the Easter version, which is great too. 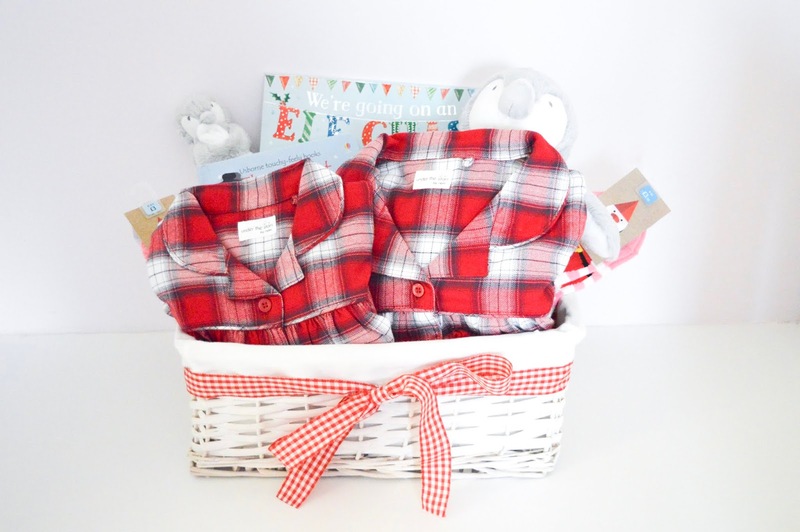 I couldn't resist ordering the girl's matching pyjamas from Next and cuddly toys too. Lastly, I picked up another That's Not My.. book to add to Amelia's book collection, as she absolutely loves them. I hope you enjoyed reading this post! 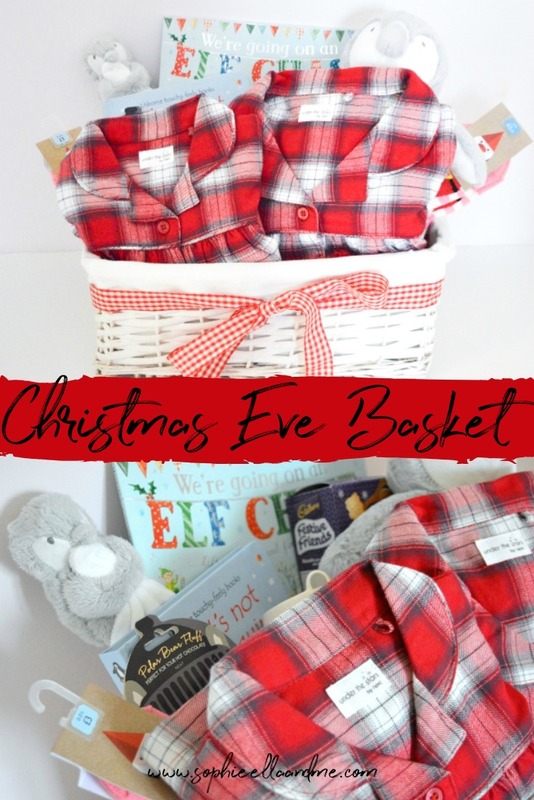 I'd love to know if you put together a Christmas Eve basket too? Disclosure - this post contains affiliate links.